A rich creamy pre shampoo masque specially designed to protect, repair and deeply nourish hair from deep within. Rich with intensive repair agents like Banana pulp and fresh herb infusions of Methi, Brahmi and Nagarmotha, this hair masque helps to repair, hydrate hair and gives it gloss and shine. Explore the entire range of Hair Creams & Masks available on Nykaa. 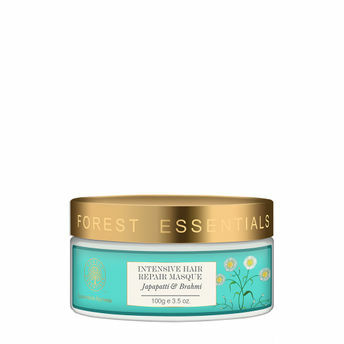 Shop more Forest Essentials products here.You can browse through the complete world of Forest Essentials Hair Creams & Masks .